Do you love getting your hair cut as much as I do? I swear it’s like therapy. It’s been ten weeks since I last got my split ends snipped off, so my visit to The Salon in Welwyn was reeeaally needed. I’ve taken ‘the bedhead look’ to whole new levels. 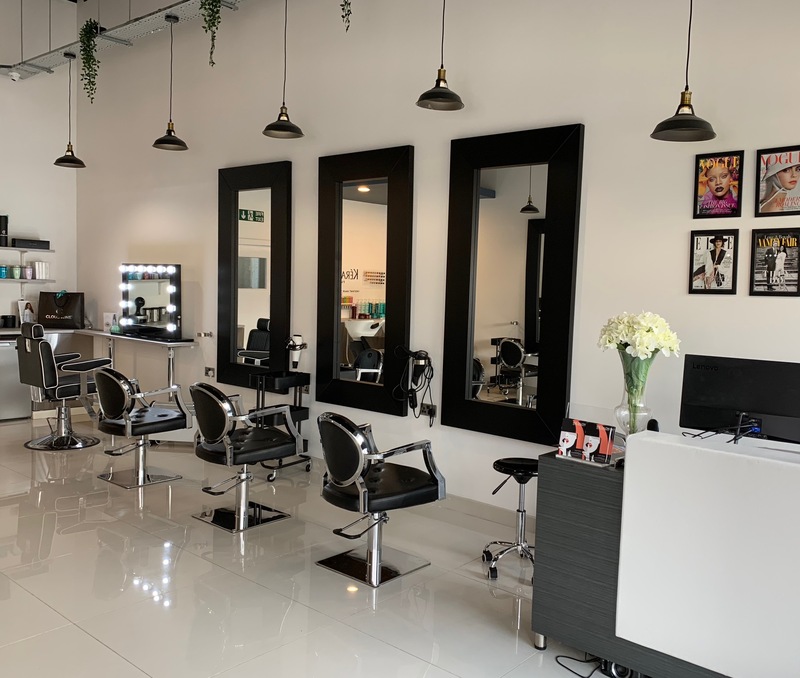 The Salon is Welwyn’s newest hair salon, and had its grand opening at the end of August. It’s part of ‘The Salon Collection’ which also has salons in St Albans, and is headed up by award-winning Director, Dan Billington. Located on Howardsgate right in the town centre, The Salon is just a short walk from The Howard Centre shopping mall. As The Salon is brand spanking new, it is clean, super shiny and very stylish. Check out that amazing lighting! It’s a l’Oreal salon so it stocks Kerastase, which I love and wish I could afford more often. Dan asked what I wanted to do with my hair and to be honest, apart from keeping the length, I trusted him to do whatever he wanted! I have long, thick, wavy, coarse hair which is hard work to style. It needs a lot of layers and shaping to make it easier to manage. So Dan took a little off the length, put some long layers in and shaped the front. He is highly skilled at cutting so it didn’t take long. Then to finish, a fabulous bouncy blow dry! I usually go for a straight look so this was really different and I loved it. My hair was super shiny, full of bounce and very glam. Here are my obligatory before and after shots! I’m so happy with my new hair – I just wish I could have a ‘bouncy blowout’ every day! If only I had the skills to recreate it myself but sadly my blow dry skills are very limited (okay, non-existent). I would highly recommend The Salon in Welwyn, and Dan is brilliant. He was lovely to chat to and I can tell that he’s so passionate about what he does. The Salon also offers specialist services like Brazilian Blowouts, which I would love to try one day to help tame the frizz. They’re pricey but I hear the treatment is amazing. I know that us mums often feel guilty for spending time and money on ourselves, but we shouldn’t! It’s important that we feel good about the way we look and actually, a great haircut can really make a difference and give you a much-needed confidence boost. For me, going to the hair salon is a fab bit of me-time and I always leave feeling amazing. So please don’t um and er about booking yourself a hair appointment, you deserve it! To book an appointment, or to find out more about the services on offer, please check out The Salon Welwyn’s website. Disclaimer: Mums Off Duty received this treatment free of charge in exchange for a review. My reviews are always completely honest.